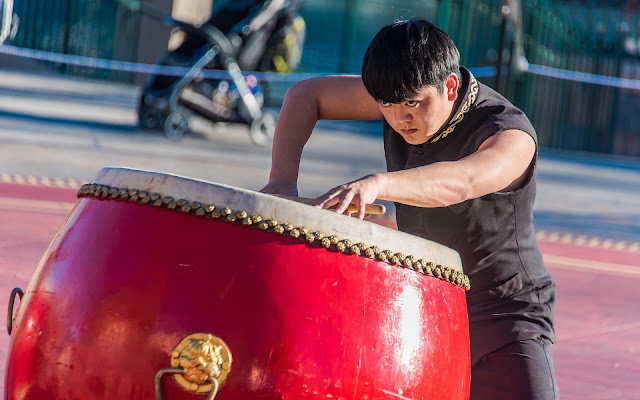 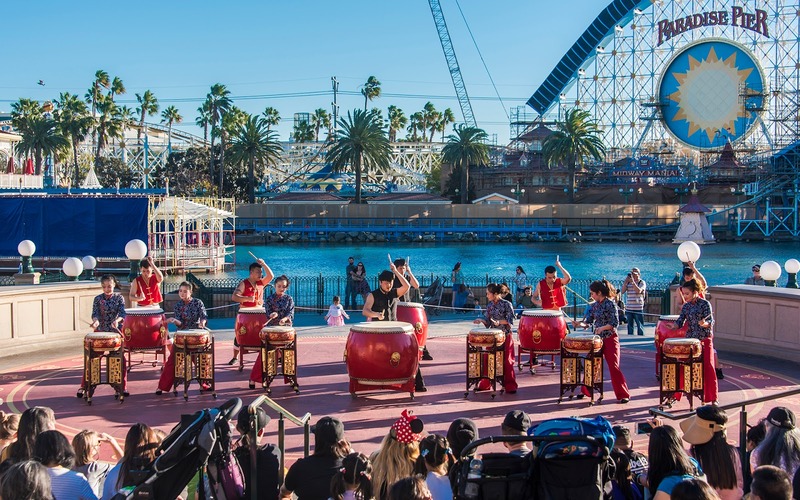 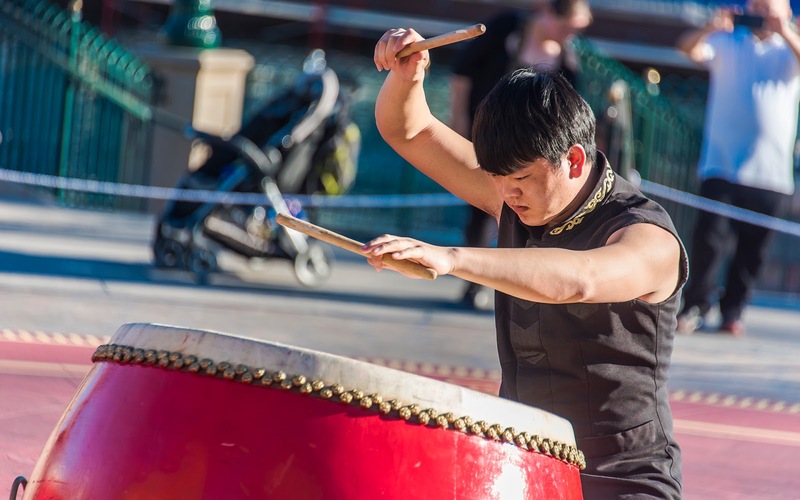 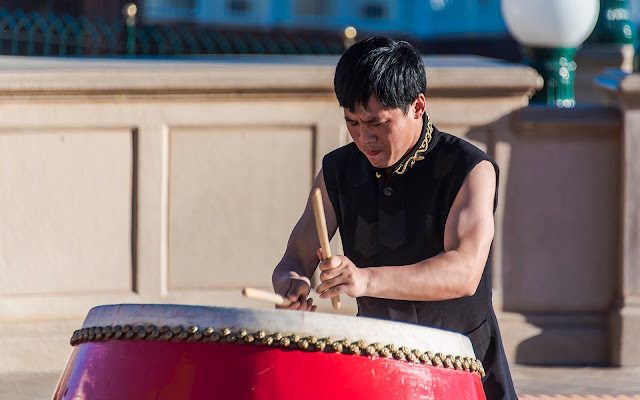 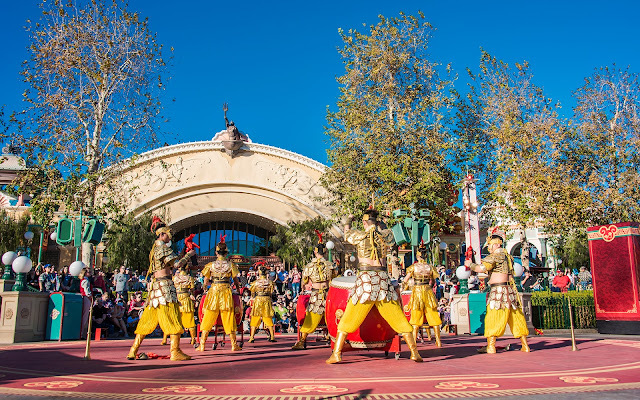 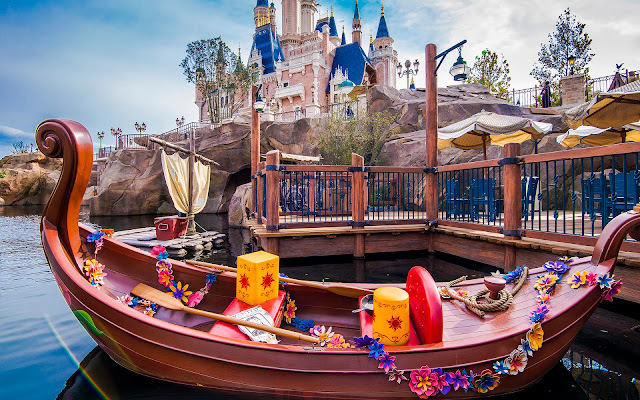 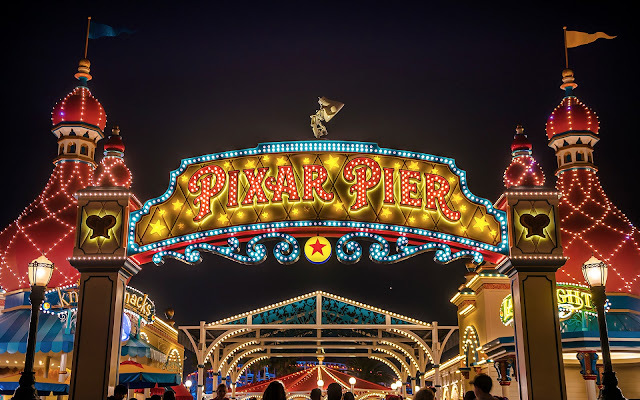 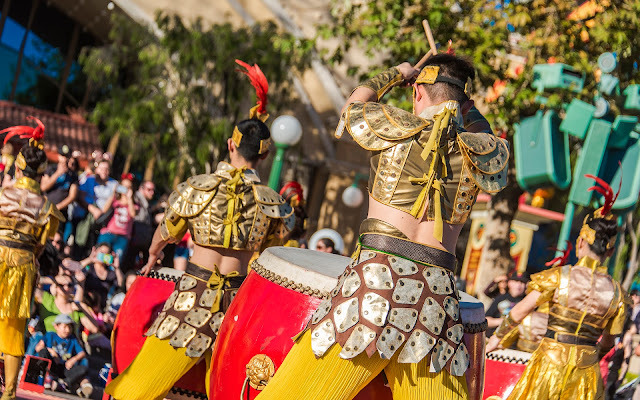 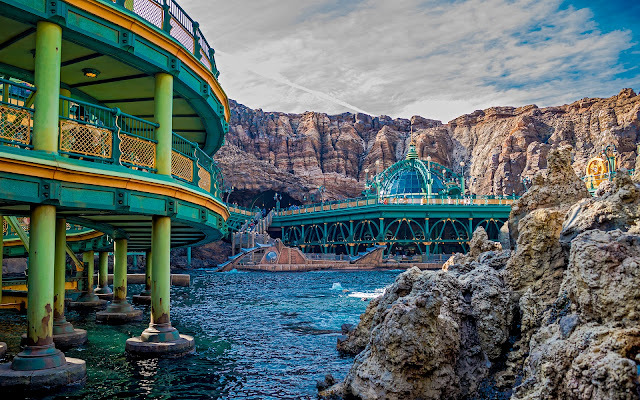 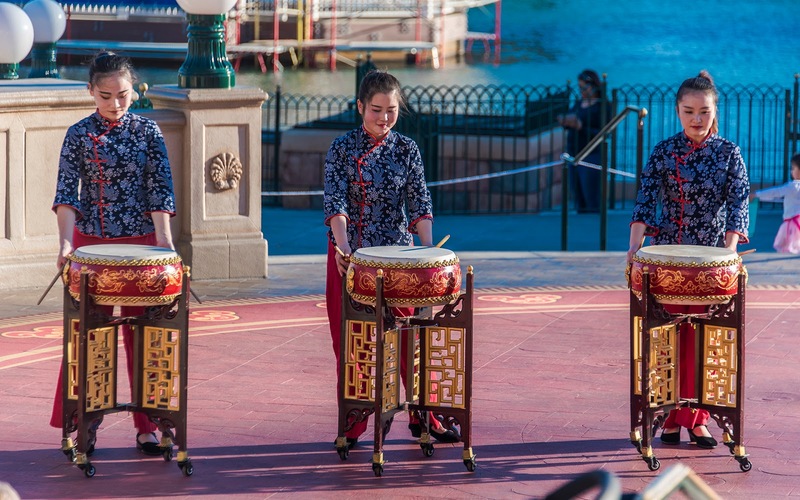 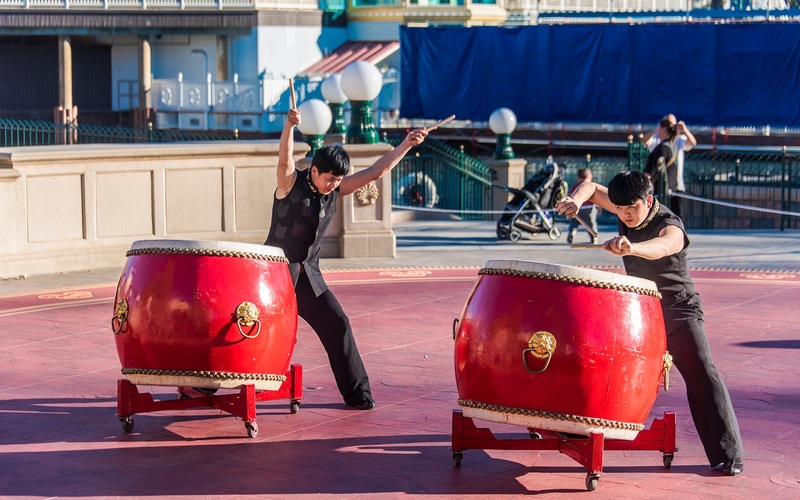 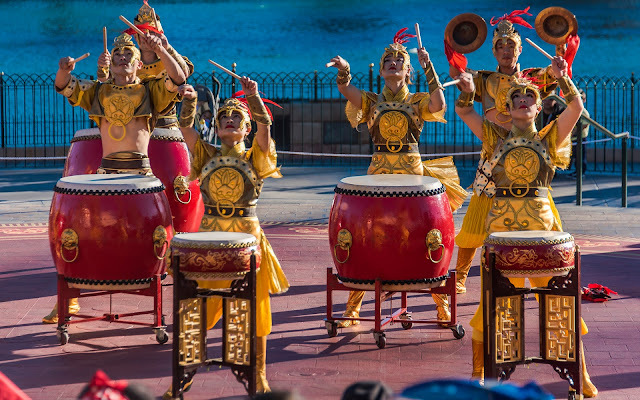 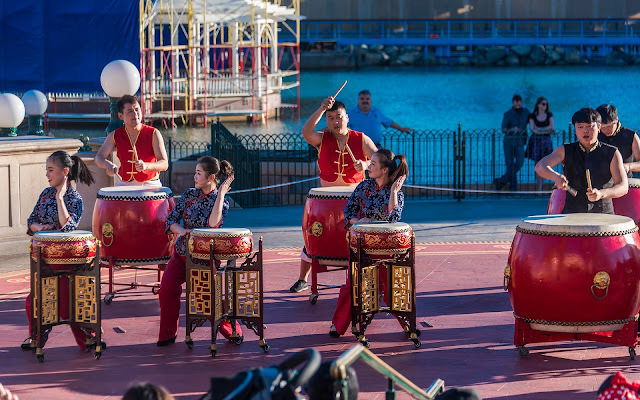 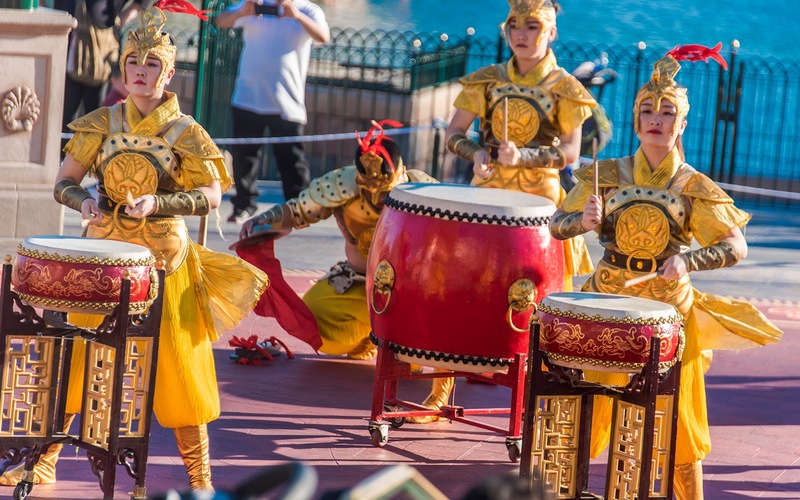 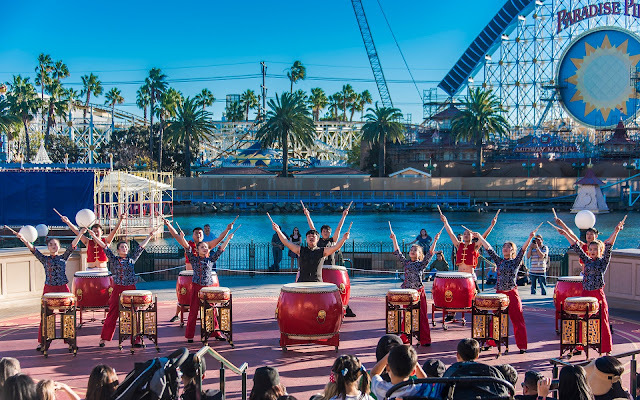 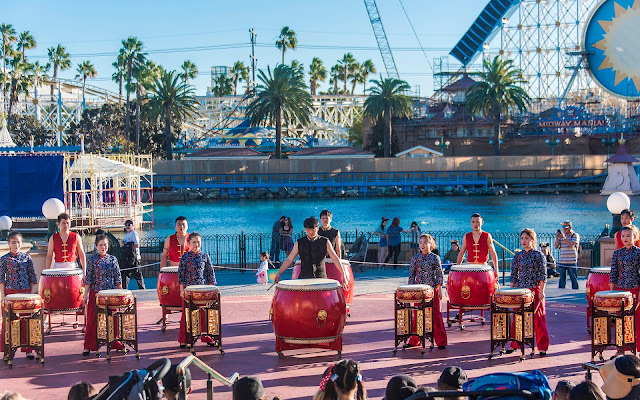 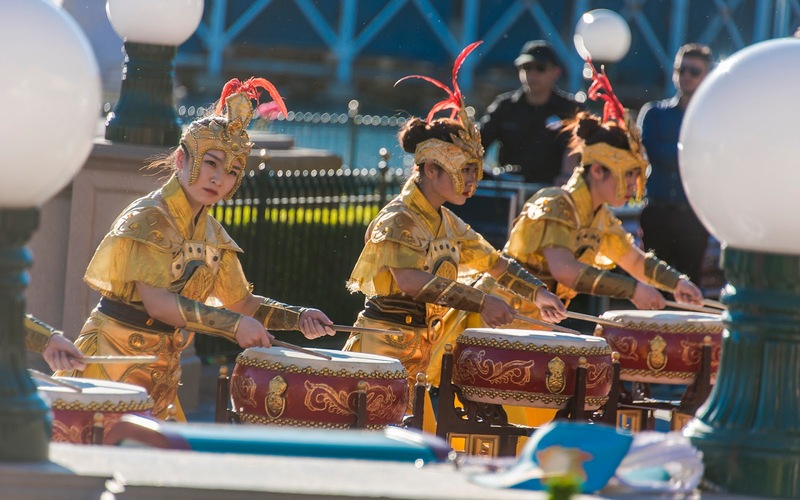 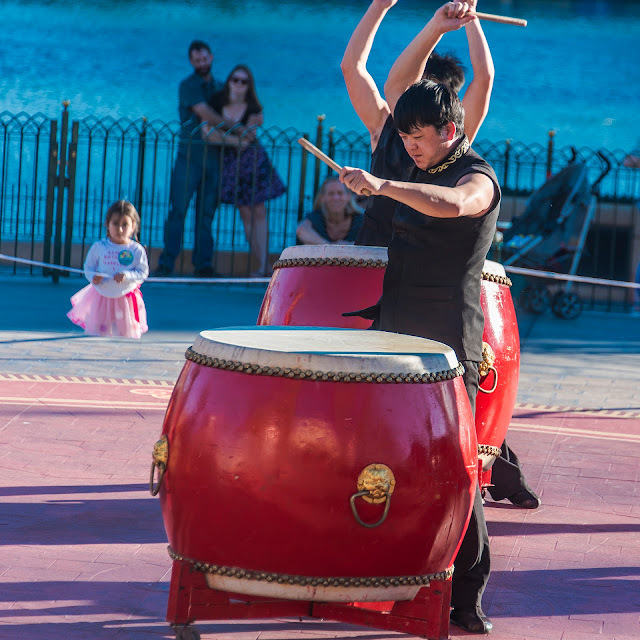 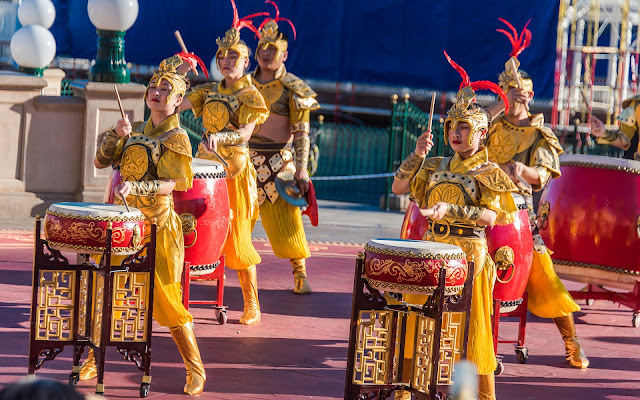 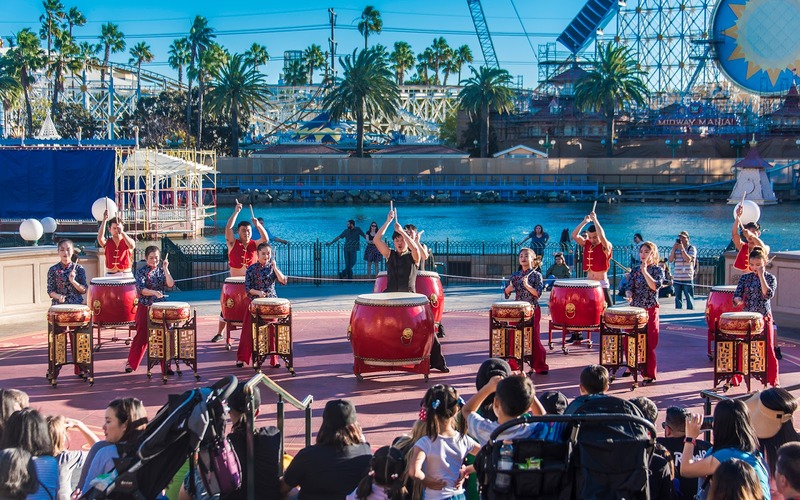 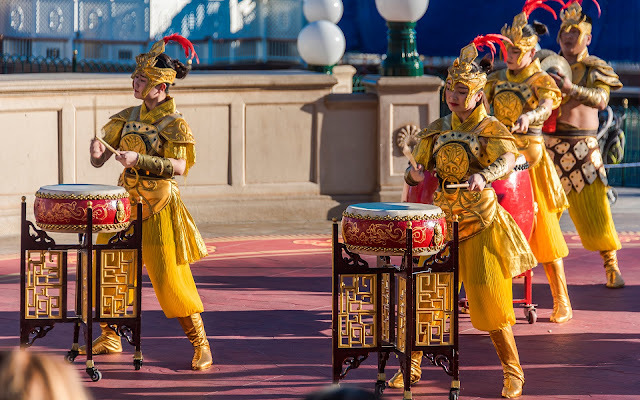 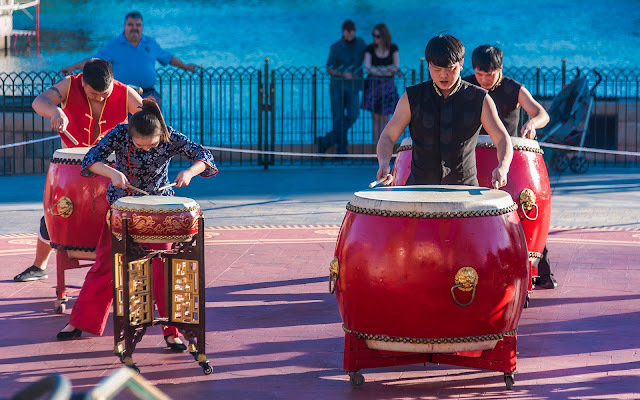 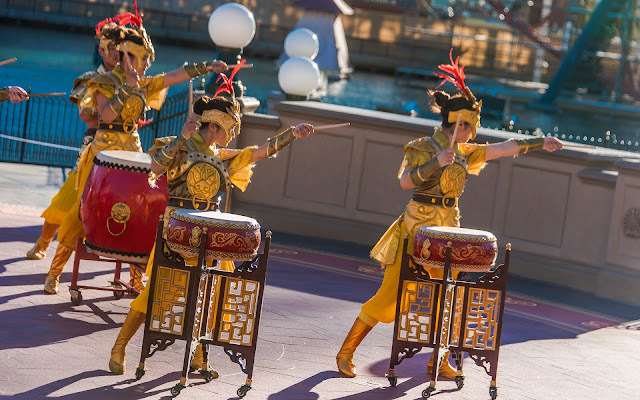 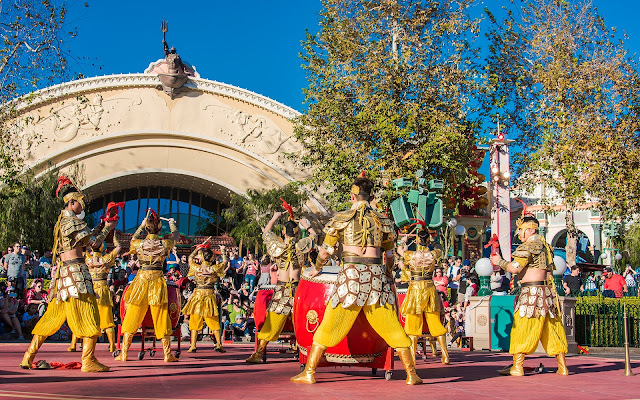 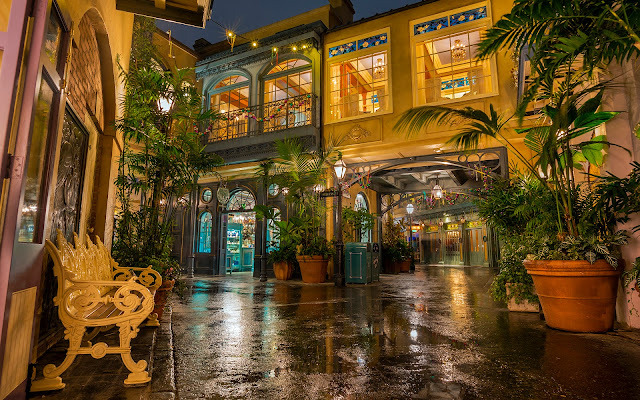 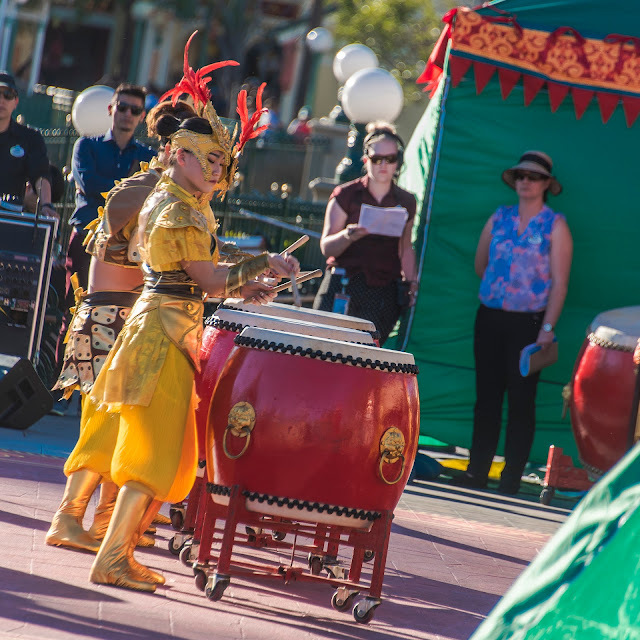 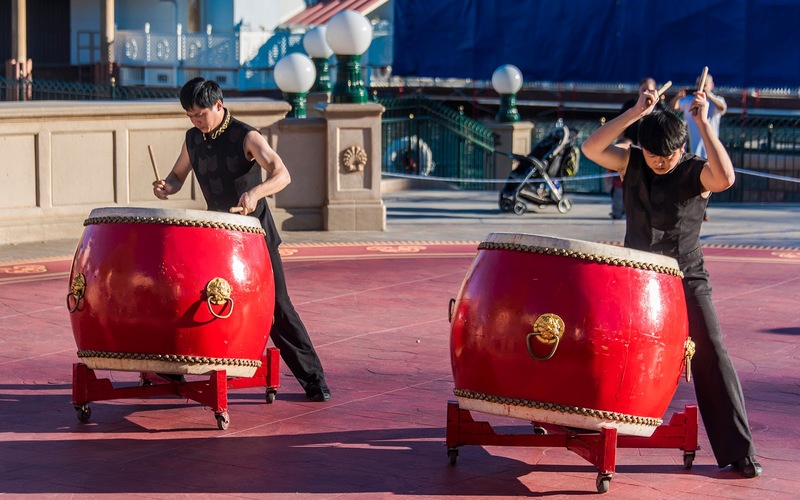 As part of the Lunar New Year festivities at Disney California Adventure this year, the GuGu Drum Group is performing several shows a day, showcasing their traditional Chinese percussion. It's a fantastic show, with great energy and pounding beats--an entertaining example of traditional Chinese culture. 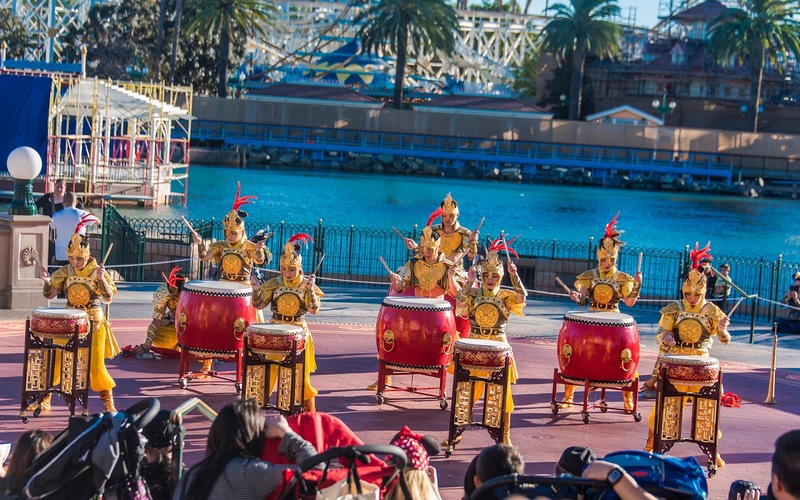 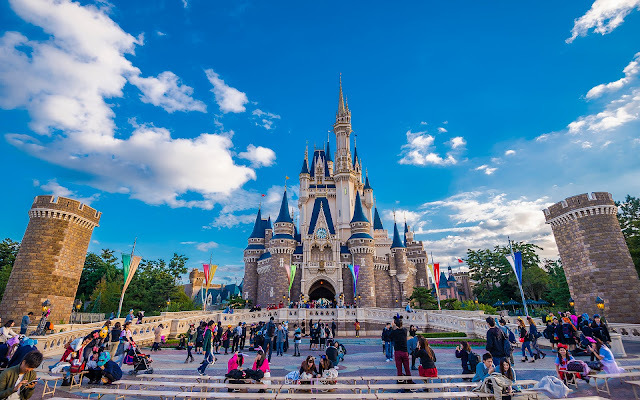 Each show is about 20 minutes long and features a few different types of drumming demonstrations, each telling its own musical story. 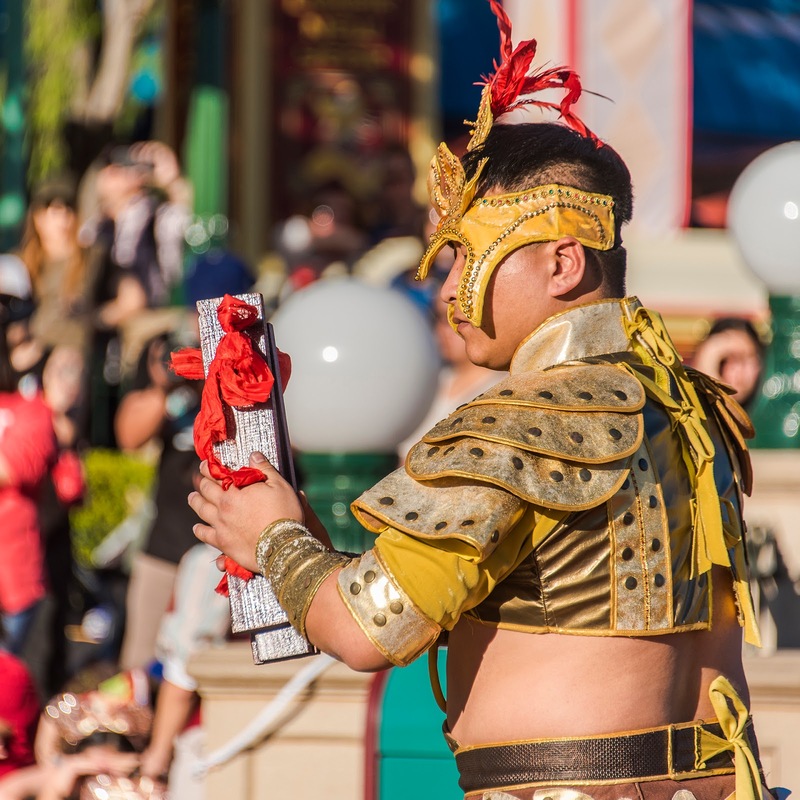 Here are some photos from my visit yesterday to document the Lunar New Year celebration!